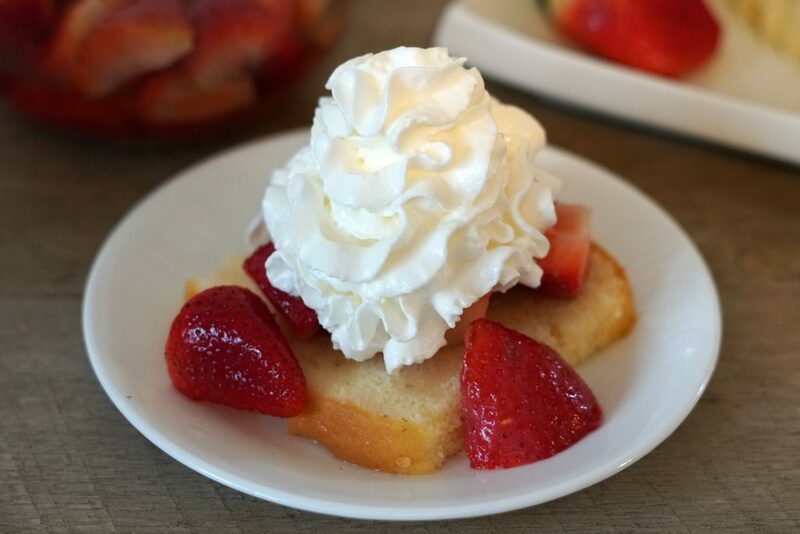 One of my go-to dessert recipes, whether I am hosting a large get-together or as a weeknight sweet treat for my family, is this Simple Strawberry Shortcake Recipe. My mother used to make it as a surprise dessert during the week, and it has always been a favorite of mine. However now that we live in Florida, this favorite recipe is even more delicious! 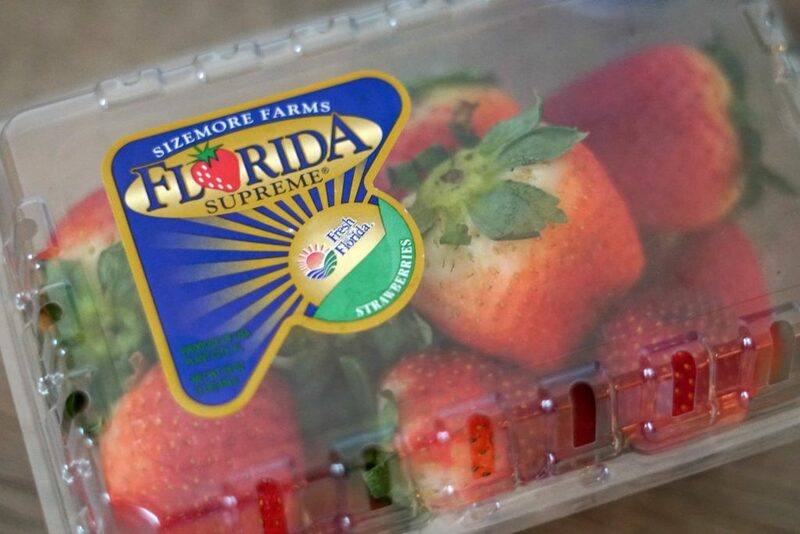 Fresh From Florida strawberries are now in season in Florida! I love cooking with fresh seasonal fruits and vegetables! Fresh fruits are juicier, while veggies are crisper, plus the flavors surpass expectation as you bite into a fresh piece of produce. Luckily Florida Farmers make it so easy for everyone to eat fresh produce year around! Within a 5-mile radiance, there are over a dozen farmers markets held on various days of the week, Plus, my local grocery stores are always well stocked with products featuring the Fresh From Florida logo. 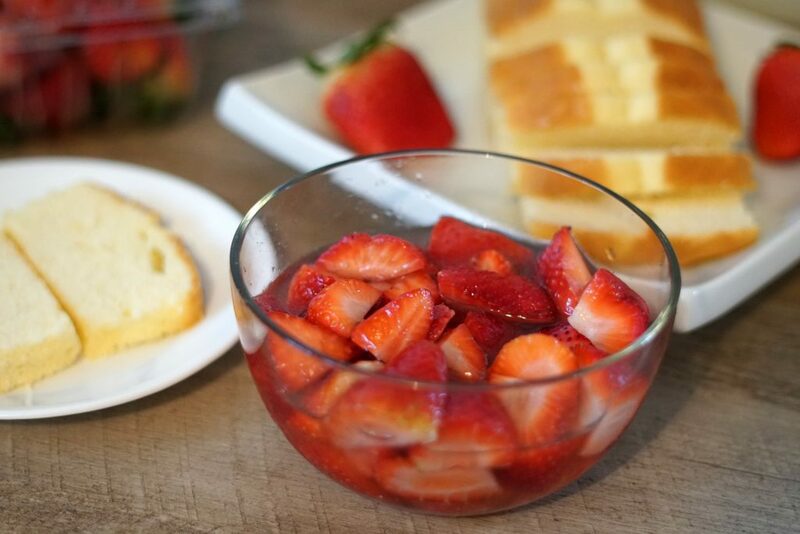 In Florida, something delicious is always in season, and right now Strawberries are! Are you looking for more great recipes incorporating Fresh From Florida foods? Make sure you visit their website for recipe ideas and to see what is currently in season. First cut up all the strawberries in a medium size bowl, then stir in the water and sugar. Let the strawberries sit for about an hour. I usually do this before dinner, and then everything is ready to go once our meal is done. 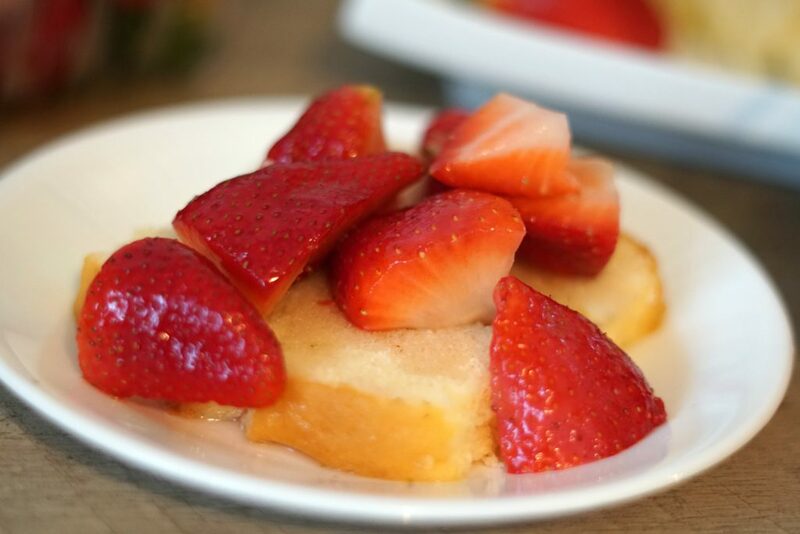 While the strawberries sit, the juices from the fresh berries mix with the water and sugar to create a strawberry flavored juice that soaks into the cake. 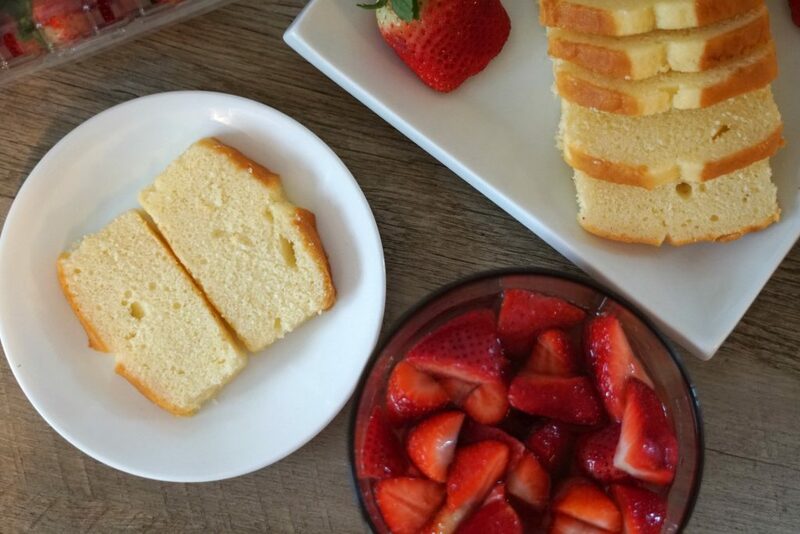 Once you are ready to serve, take a slice of the pound cake, and top it with a couple spoonfuls of the strawberry mix. 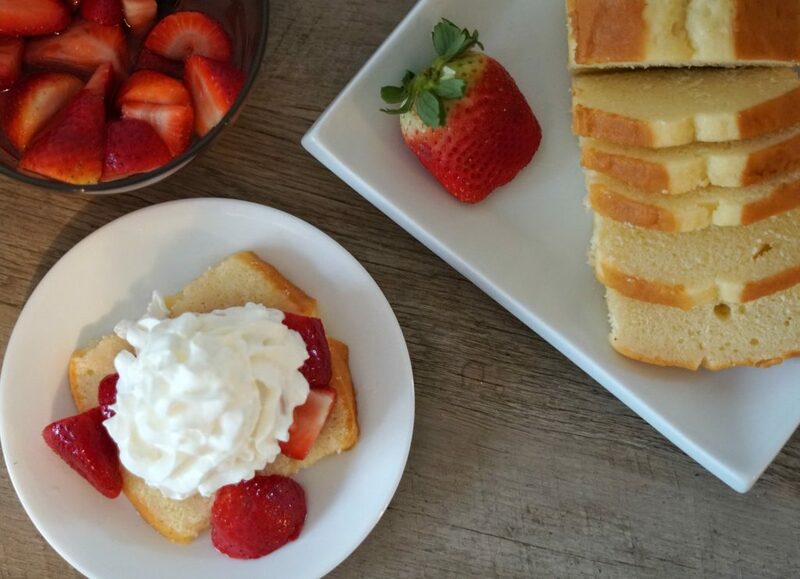 Next, add some whip cream to the dessert and you have a delicious and simple sweet treat that anyone can create! One of my biggest regrets (29 years old) is having a traditional wedding cake instead of strawberry shortcake. It’s my absolute favorite. 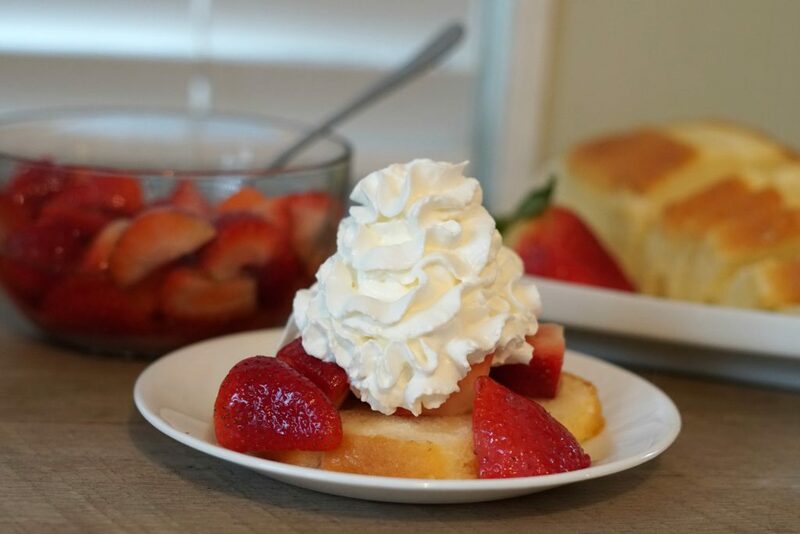 I love strawberry season here in NC because fresh strawberries take it to a whole new level. YUM! 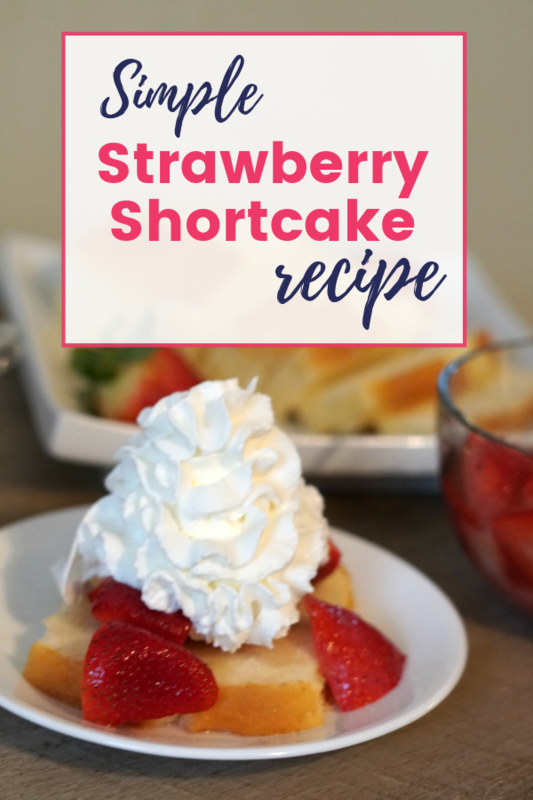 This is a beautiful and delicious strawberry shortcake! I love using fresh strawberries when I make it. My kids love strawberry shortcake. My daughter likes to make it all the time. I like this simple recipe and will be sharing it with her. Yum! My niece loves strawberries. I think this is a perfect breakfast and she will surely love this! That looks amazing. I haven’t had strawberry shortcake in such a long time. I’m really looking forward to trying this now. This is one of my favorite desserts too. Wow that looks so good. I could go for some of that right about now. I may have to add some things to my shopping list. 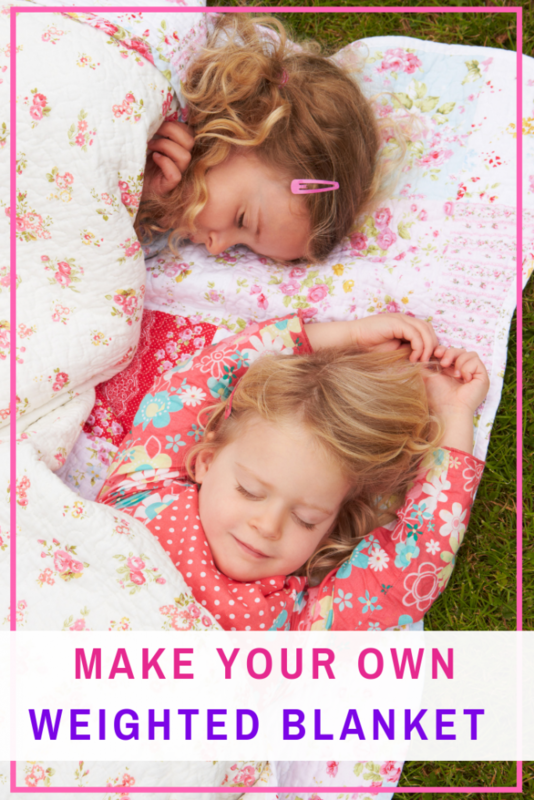 Love that it is so quick and easy to prepare. And I bet it’s as delicious as it looks. Can’t wait to make one for myself. I miss strawberry season. I love them so much and i can never keep enough in our house. That looks delish! I cannot wait until strawberry season kicks in here!! In the meantime, I’ll have to be on the lookout for Florida strawberries! Fresh strawberries are the best! This looks like a great way to use strawberries. 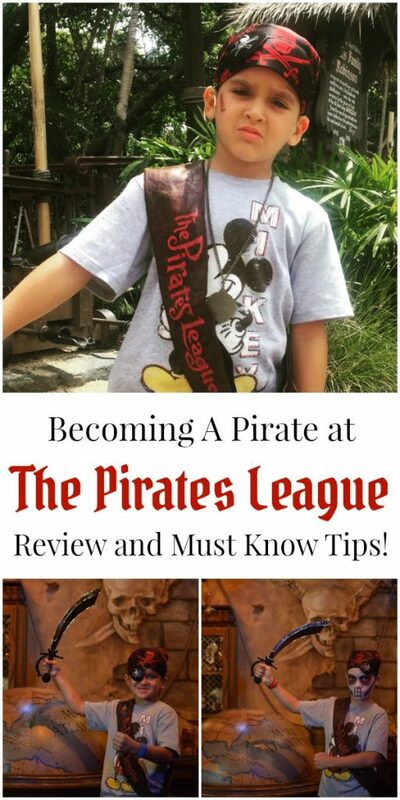 I’m sure my kids would love this too! I love strawberries and strawberry shortcake. This looks like an amazing recipe!